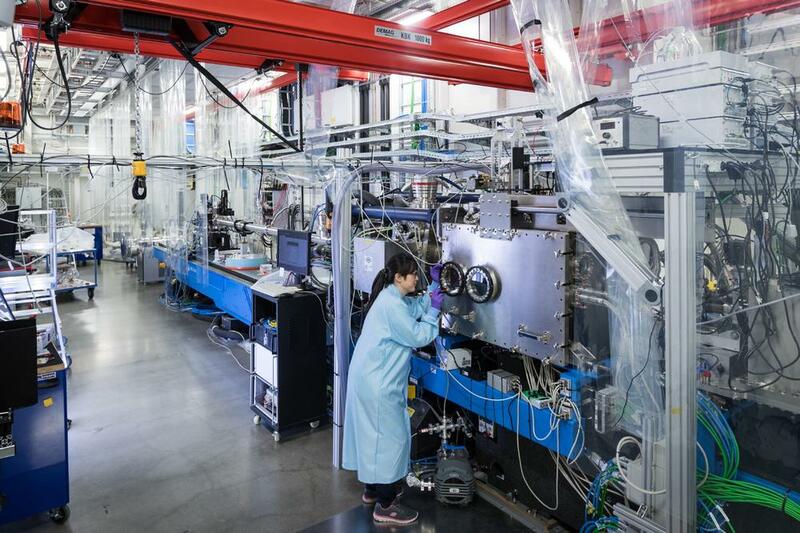 The bursts, or pulses, of X-ray light generated by European XFEL are each less than a few millionths of a billionth of a second, or a few femtoseconds. As a comparison, a blink of an eye lasts about 300 milliseconds, or a third of a second. While these extremely short bursts of light produced by European XFEL make it now possible to capture the fast changes occurring during a reaction, even the slightest timing delay or variation in the experiment set-up can counteract the benefits of using the ultra-short X-ray pulses in the first place. Timing variation of the X-ray and laser set-up, known as ‘jitter’, can be caused by, for example, thermal expansion of electrical cables over the length of the 3.4 km long facility and slight changes in air pressure that can alter the optical path of the laser. Therefore, accurate measurement of the jitter is crucial for scientists to be able to take this into consideration when evaluating their work, and help keep the disturbance to a minimum. Scientists at European XFEL have now measured the jitter at the SPB/SFX instrument. The results published in the journal Optics Letters show a jitter of 308 femtoseconds. The scientists expect to be able to reduce the jitter significantly as upgrades are made to the European XFEL timing system. Timing tools will also be supplied to users in the near future which can be used to overcome the timing jitter. Scientists from European XFEL, Kiel University, Helmholtz-Zentrum Dresden-Rossendorf, La Trobe University, SLAC National Accelerator Laboratory, and DESY were involved in the publication.